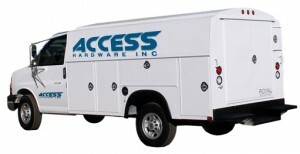 About Us – Access Hardware Inc.
We started Access Hardware back in 1978. After decades of field installations and project supply, we’re in a league of our own. We are completely dedicated to supplying our customers with quality products at competitive prices. Our website is just a brief tour of the products and services we provide. Our experience with a wide range of manufacturers’ systems, combined with detailed engineering knowledge, makes Access Hardware an ideal partner for your security and access requirements.